Made from 50mm square aluminium with bespoke internal extrusions. 4mm thick clear co-polyester side and back sheets. Rubber extrusion strips ensure a secure waterproof seal. 2.05 metres high allowing full standing access. External depth of 1.57 metres. Shelters must be anchored at all times. Socketed Shelters have extended legs and 4 sockets. 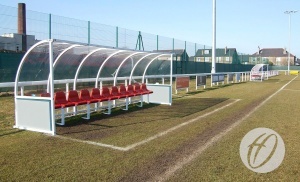 Q: What sizes are available for the Premier Curved Team Shelters? 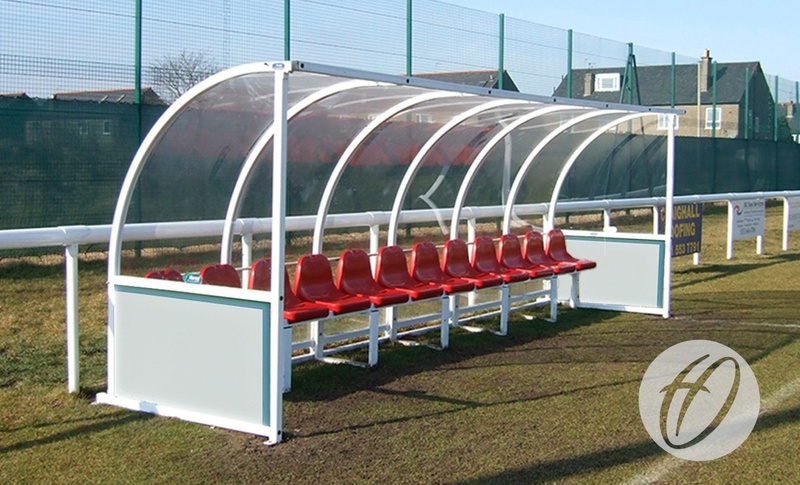 A: The Premier Curved Team Shelters are available in 8, 10 and 12 seat versions.